I promise, I’m not ungrateful. But the cheap toy struggle is real. Here’s how I’m winning the battle against the plastic toys. Okay, I’m just going to grit my teeth and say it. I’m not ungrateful, but it’s true. I’m sick of the crappy toys. 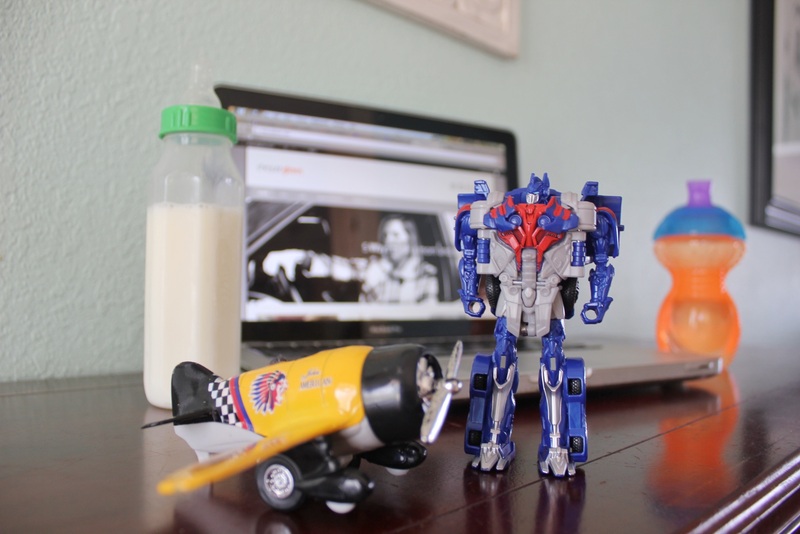 No matter where you go these days — school, church, birthday parties, the fast food restaurant — the cheap toys come home. And break. And get lost. And cause fights. I’m not sure why, but in our millennial culture, toys have become rewards. For learning a Bible verse. Attending a birthday party. Or saying all your sight words. Listen, it’s not that I don’t want my kids to have toys. Or to have fun. Because each time, my kids come home with a plethora of small, plastic, cheap, going-to-break-tonight toys that I have to deal with, referee the whose-is-whose fights, pick up (so the baby doesn’t die) or creatively remove. Before I was a parent, I remember watching a friend clean up her kids’ toys, and I gasped when she threw some in the garbage. The cheap toys need to go. Seriously, when my kids bring these types of tiny, cheap toys that are going to get lost or the baby will choke on them or they will break in 36 hours, I wait until they stop playing with them and hide them in the fruit bowl on the kitchen counter. Then the next day, when they don’t ask about them, in the garbage they go. For real, are my kids the only animals? Because nothing lasts in our home. A friend brought over some beautiful origami boxes she’d brought home for them from China. My kids grabbed swords and started hitting them like baseballs. Literally, this is why we can’t have nice things. These toys are always breaking. I have tried to fight it, and now I realize this is simply how my sons are wired. They take things apart. They break them down. My sons aren’t being bad (well, usually *wink*). They are just being curious preschool-aged boys. Yes, I teach them to respect our things. But if the things will break with any level of force exacted on them, take it from me, the toy will not survive. I kid you not, I literally went through my kids’ room before school started to do a toy clean-out (I do this twice a year, once before Christmas and once before school starts), and most of the toys were broken and went straight into the trash. In fact, if I ever find errant tiny Legos in random places in the house, I don’t even walk them back in the Lego bin. They just go to the trash. My rule is, if the toy hasn’t been played with, and they won’t ask for it by name, it’s gone. It’s one of the reasons I refuse to buy Happy Meals. Not only because I can get a 20-piece chicken nuggets for $5 (rather than 3 Happy Meals for $10), but also because the last thing I want are 3 new souvenirs that will ruin the rest of my day: follow us home, get lost in the car, get broken, or spark fights. It took me a few years to realize that these cheap toys complicate my life, and simply I’m not willing to do it any more. I know, don’t hate me. I understand why it’s annoying to read this and it sounds ungrateful and I’ll probably get some “you know some kids would love to play with these cheap broken toys that you throw away” emails, that’s okay. I’ve come up with the best alternative to the cheap toy fight. I have an Amazon Wish List for each kid. I’ll admit, at first it felt presumptuous. But, I only share the lists with our family, all of whom live out-of-state and are always needing gift ideas they can send. It’s seriously been the best thing, and I highly recommend it! I usually update the lists just before Christmas and make sure they’re up-to-date and don’t include anything the kids have outgrown or have already gotten. Throughout the year, I’ll also think of random things and just add them to the wish list. For example, right now, our oldest son is very into rocks and gems, so I found a digging kit and a couple books and added them to his list the other day. 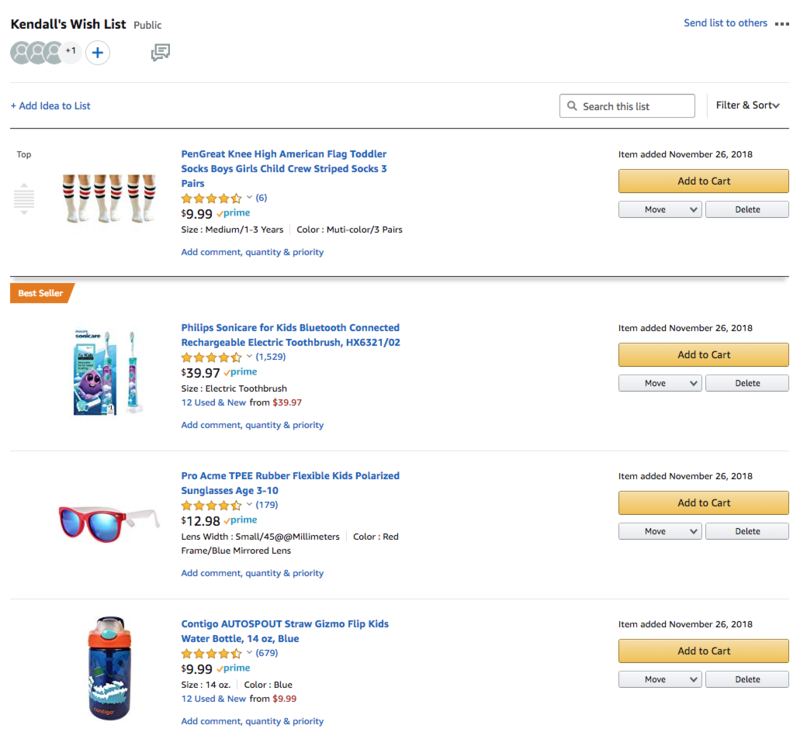 Some of the other items on their wish lists are: sports equipment, school supplies, art supplies, board games like Connect Four and Operation, books, pool toys, clothes, shoes, socks, underwear and educational games. Any more to add to the list? Who else is with me in the cheap toy struggle? Share your comments over on the Facebook page! This post contains affiliate links, which means that I make a few pennies for sharing links to products I like. It doesn’t cost you any more. Every bit helps me keep my site up and running, so thank you!